Equipped with the iconic lampshades by the Danish manufacturer, the Champagne stand for floor lamps by Umage looks outstanding. The slim frame is reminiscent of a classic champagne glass: a simple, elegant design, carefully processed edges and clean, minimalist lines. The Champagne frame can be combined either with the distinctive lampshades by Umage or simply with a decorative lightbulb to keep it minimalist. Due to the restrained design, the frame made of steel and aluminium can be designed according to personal taste - whether as an eye-catcher, with the well-known Eos lampshade for example, or with the stylish filament lamp by Umage. The Champagne stand designed by Søren Ravn Christensen is available in black and white. Isolated product image of the Champagne frame for floor lamps. 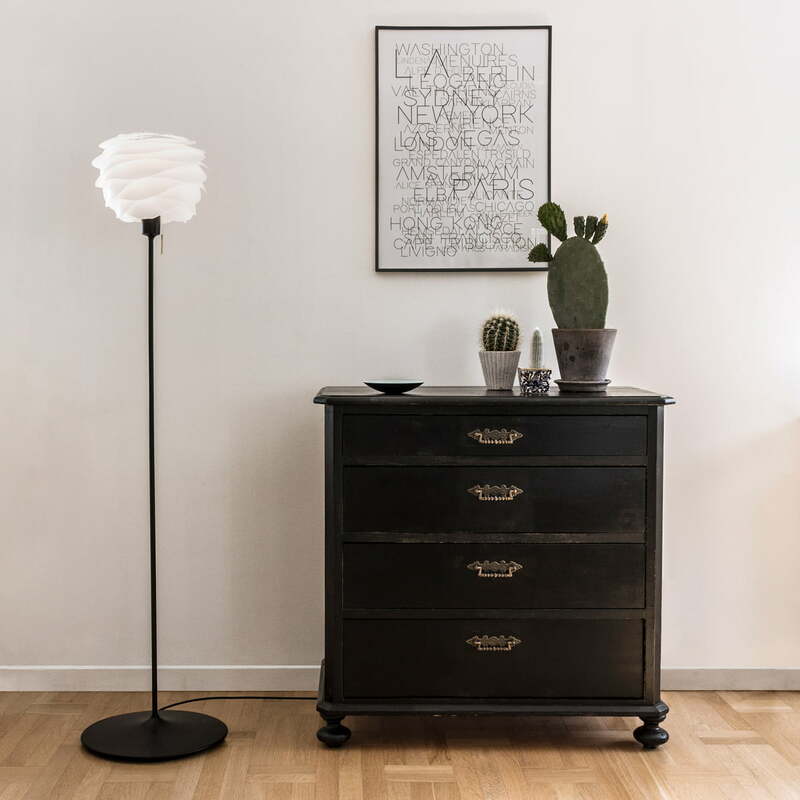 Complete with the Champagne frame for the floor lamps by Umage, the iconic lampshades by the Danish manufacturer look outstanding. Detail Product Image of the Umage Champagne Glass for Floor Lamps. The frame is equipped with an E27 version, so that a variety of lightbulbs can be used. Situation Product Image of the Umage champagne glass for floor lamps. 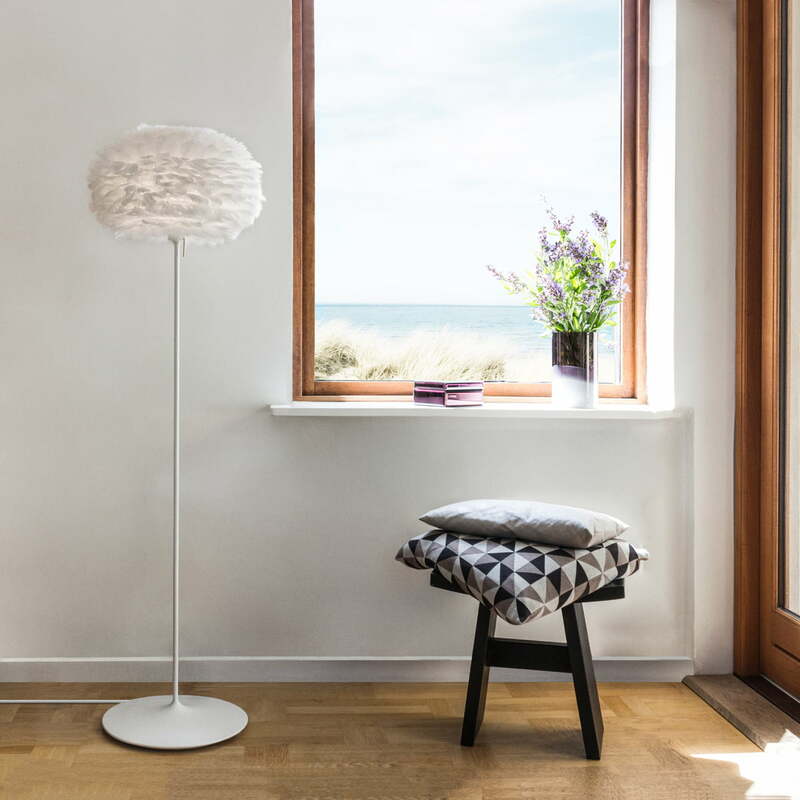 Complete with the Champagne frame for the floor lamps by Umage, the iconic lampshades by the Danish manufacturer look outstanding. Lifestyle product image of the Umage Champagne Glass for floor lamps. The slim frame is reminiscent of a classic champagne glass: a simple, elegant design, carefully processed edges and clean, minimalist lines. 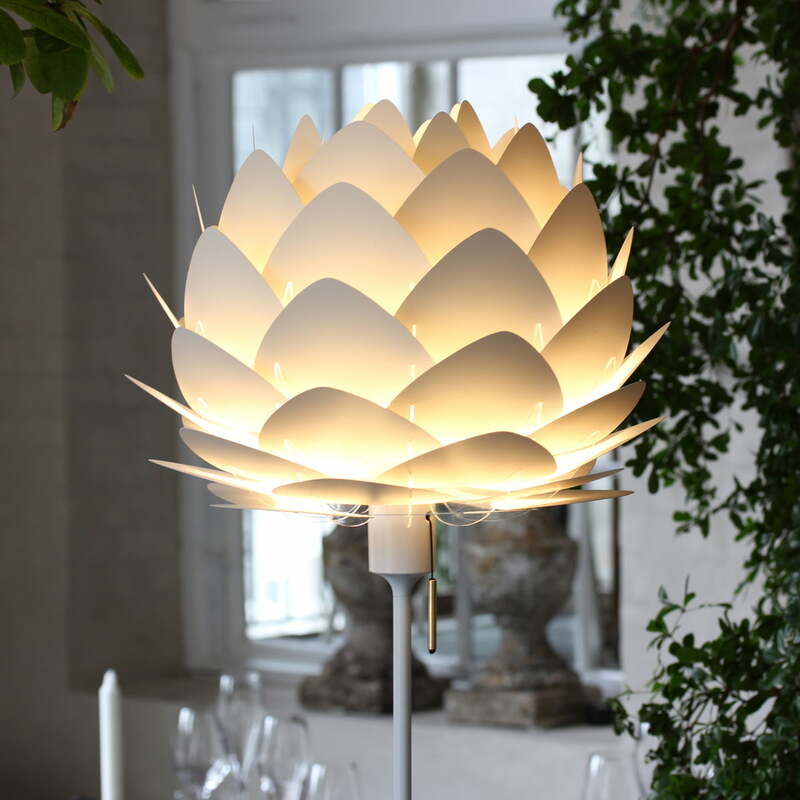 Lifestyle product image of the Umage Champagne Glass for floor lamps with the EOS lampshade. The frame can be, for example, excellent to combine with the EOS lampshade.